The Highland Park Scots Men’s Varsity Basketball Team traveled to Longview High School on a stormy night Tuesday to face off against Texas High in a Bi-District playoff game. 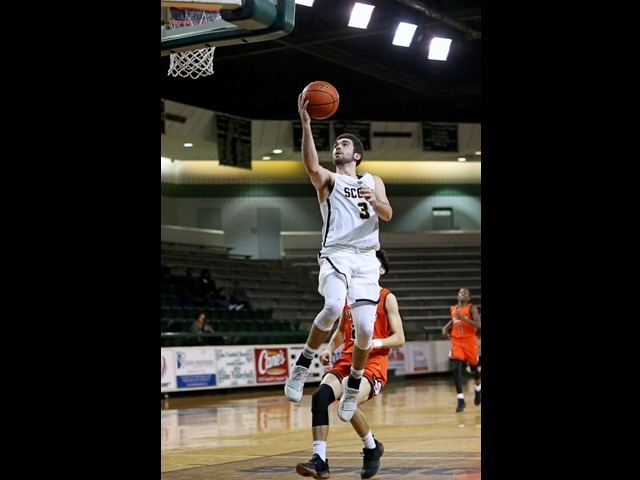 The Scots had difficulty rebounding against a tall, athletic Texas High front line in the first half and trailed by as many as 12 points in the second quarter. A nice offensive surge however at the end of the quarter brought HP to within 2 points at halftime. it was a big third quarter led by an aggressive defense that allowed the Scots to outscore Texas High 22-6 in the period en route to the 67-54 win. Scoring was led by Will Enzor with 27 points, 6 assists and Cade Wagner with 23. Finn Corwin added 8 and Alex Staffaroni chipped in 7 points to go with 3 steals. The win brings the Scots overall record on the season to 23-11. Next up is the Area Playoff game against highly ranked Little Elm High School. The game tips off at 7:00pm on Friday, February 23 at Marcus High School in Flower Mound.